Adding an E-Store is still worth the money! Have something to sell? Get an E-Store. 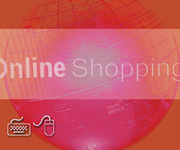 The growth of online shopping has been nothing but amazing since the inception of the internet. Though if you do your research you will see that the numbers are starting to level off there is still a definite advantage to having an online e-store for most SMB's who have a product to sell. Adam Lewis from Xponex Media Services tells SMB Now that his firm has designed e-commerce sites for customers with both traditional products and non traditional services that are sold online. Lewis went on to explain that simply by having an online E-Store your site, and it's visibility to search engines such as Google, is greatly improved. Depending on the size of the store a typical SMB , according to Lewis, could expect to pay as little as five thousand for a custom written e-store. Custom written e-stores allow the SMB to more tailor the look, the content, and the navigation of the site to more closely match their vertical. One such custom written e-store developed by Xponex is affiliated with the highly visible Nationwide Computer Service website ComputerServiceNow.com. The ComputerServiceNow.com e-store sits on a website of its own and goes by the name of the Tech-Army.org e-store. These multiple domains, as well as the e-store, are part of the overall Search Engine Optimization strategy recommended by Xponex that has moved their website onto the first page of Google search results for the highly competitive search term of "Computer Service". One of the most popular e-store products available off the shelf is AapDotNetStorefront who's most simple offerings start in the three thousand dollar range. Be careful however as many such products have license and other restrictions that could lead to hidden costs to get what you need. With proper integration a custom written E-Store can become a key part of your website. As with little effort individual products or categories of products can be listed right on your website.